Ankle/foot orthotics are devices that are inserted into the shoes to protect the foot from a wide range of foot problems. Orthotics are available as prefabricated over-the-counter and through a prescription for custom-made orthotics tailored to the individual. 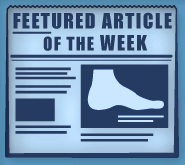 Although custom-made orthotics are generally more expensive, they may be more efficient in correcting certain foot and ankle ailments. Typically inserts can be made out of pieces of rubber, leather, plastic, or any other type of synthetic material. Orthotics have been known to reduce or even remove pain in conditions such as flat feet, Achilles tendonitis, rheumatoid arthritis, plantar fasciitis, bunions and heel pain. If you are experiencing foot pain, your doctor will decide if you are in need of foot orthotics as well as the type of orthotic will be right for your foot type.